Contemplative Outreach of Central Florida has been serving the contemplative community in this area since 1987. We are a chapter of Contemplative Outreach, Ltd., an international ecumenical spiritual network. We come together in more than thirty individual groups spread throughout the region. We join each other to learn, develop, and practice a Christian form of meditation called Centering Prayer. With several hundred members across eight counties, we are the single largest meditation group in the Central Florida region. We welcome all Christians, regardless of affiliation, to join us. We identify with the Christian contemplative heritage in which Centering Prayer is rooted. We recognize this heritage as the common ground for Christian unity. We affirm our solidarity with the contemplative dimension of other religions and sacred traditions. Our mission is to teach the method of Centering Prayer and to offer programs and support to those who wish to deepen their relationship with God through the practice of Centering Prayer. Origin of Centering Prayer and Contemplative Outreach, Ltd. In the early 1970’s, Trappist monk and priest Thomas Keating and two other Trappists, Fr. 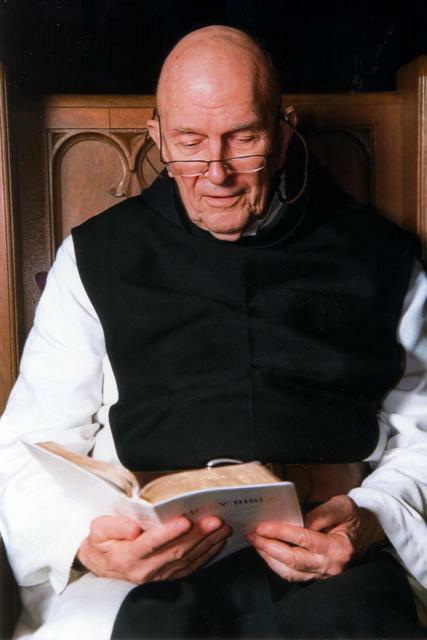 William Meninger and the late Fr. Basil Pennington, worked to bring a form of silent prayer, now known as Centering Prayer, to those living outside monasteries. With roots in the 14th century classic, The Cloud of Unknowing, this kind of prayer allows people to sit silently and become receptive to God’s gift of contemplation. In 1984, interested in making Centering Prayer available to more people, Fr. Thomas founded Contemplative Outreach, Ltd. Today, the Contemplative Outreach network has hundreds of chapters and reaches people worldwide through numerous books and videos of Fr. Thomas’ teaching on Centering Prayer and its conceptual background. You can download our brochure explaining the basic Method of Centering Prayer, and the recommended Centering Prayer Introductory Program using these hyperlinks. Take some time to browse our website for more about what we do and upcoming events. We invite you to consider visiting one of our many prayer groups throughout Central Florida where Christians of all denominations are welcome. If you have any questions or would like to speak with someone, please contact us. In 1986, Sr. Claire Gregg, S.U.S.C., was invited by Fr. Emile Gentile T.O.R., to be a staff member of the San Pedro Spiritual Center in Winter Park, Florida. Introductions to Centering Prayer and retreats soon followed, and continuing sessions were held on Saturday using the Spiritual Journey tapes and book, Open Mind, Open Heart, by Thomas Keating O.C.S.O. In February, 1987, Fr. Thomas gave a retreat to a small group at San Pedro Center. There were many inspirational speakers in those early years, including Fr. William Menninger O.C.S.O., Fr. Carl Arico, Ferdinand Mahfood and David Frenette. The number of prayer practitioners grew and so did the need for local Centering Prayer groups. Sr. Claire invited the core group to attend formation at St. Leo’s Abbey in Tampa so that they could become presenters of Centering Prayer. Since 1987, COCF has grown to presently include more than 30 groups in locations as far north as The Villages and south to Palm Bay. The pilot program for spiritual enrichment programs know as Living Flame I and II was held in Central Florida, coordinated by Monica Freeman and the presenter of National Contemplative Outreach Staff. Next, the nine-month Contemplative Living Course was presented in central Florida by Jacquie Brinkman, Ilse Reissner and Basha Perez. In 1993, the beloved mentor and friend, Sr. Claire, returned to Sacred Heart Convent for health reasons and passed into God’s loving care in December, 1994. Before leaving, she suggested the discernment process used by her community to choose leaders and that process was used in choosing Basha Perez as the Chapter’s next coordinator. With Basha’s leadership, the chapter held many days of prayer, Centering Prayer Retreats and Contemplative Masses. Basha was always willing to open her home for prayer, visitors, chapter gatherings and planning sessions. Ilse Reissner became coordinator of the Spanish speaking community and facilitated a Centering Prayer group at St. Mary Magdalene. She has worked with Fr. Keating to translate his books into Spanish and was instrumental in organizing overseas pilgrimages for the purpose of raising funds for Extension Contemplativa Internacional (established in 2001). In 2009, Kathy Kotas and Elmer Seifert were discerned as the new co-coordinators of COCFL. With the help of a dedicated service team, the Chapter was able to present Living Flame I in 2011-2012. Living Flame II will began in November, 2012. In October, 2014, Nestor de Armas became the new coordinator. We ask God’s help to continue the work begun more than twenty-five years ago by Sr. Claire who believed in the transforming love of Christ through this Prayer of Consent.